Culver City is the perfect place to stay when visiting Los Angeles. This is not something one would have imagined saying a few years ago when it was a somewhat overlooked district that had surely seen better days, but on a recent visit to the delightful Culver Hotel, we wholly succumbed to its many charms. Not only does this delightful historic hotel have its own significant appeal, but the location is ideal: lying a short way from the beach cities of Venice and Santa Monica on one side, and the tourist meccas of Hollywood and Beverley Hills on the other. The area too is also now cool and highly desirable. A distinct trend of improvement was initiated by Sony’s takeover of the ailing MGM studios in 1989, and nowadays local businesses thrive, real estate prices are rocketing and Culver City is a locality reborn. Recently named as one of the city leading ‘walking’ neighbourhoods, it has a vibrant gallery scene and whole range of excellent restaurants cafes and shops, all accessible via a short stroll from the pedestrian plaza – with its dancing lion – that lies adjacent to the hotel. 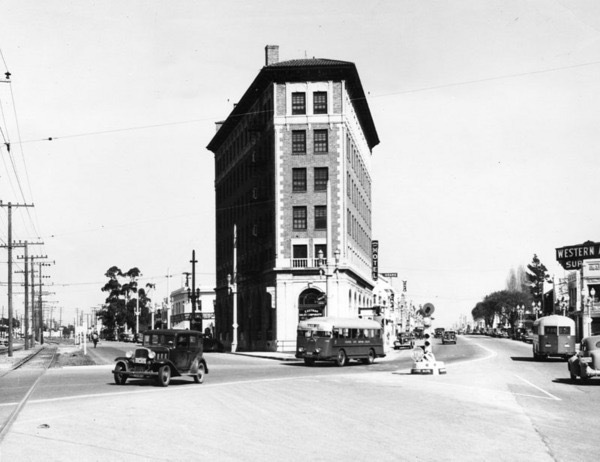 Culver City’s original heyday came after its incorporation in 1917 when MGM, Hal Roach, Culver Studios and many other studios made it their base. Soon it was a hive of activity film-making activity with literally hundreds of movies being produced including The Wizard of Oz, The Thin Man, Gone with the Wind, Rebecca, the Tarzan series plus the original King Kong. Amazingly, by the 1940’s over half of America’s movies came from the locality – even Howard Hughes had based his aircraft production here. Despite this, the area declined steadily after the war and was a shadow of its former self through to the end of the last century. The city’s founding father, Harry Culver, built the Culver hotel himself in 1924. Not only was it the location of his own offices (guests can still visit the beautifully preserved rooms on the first floor) but also was at the heart of the filmmaking scene. 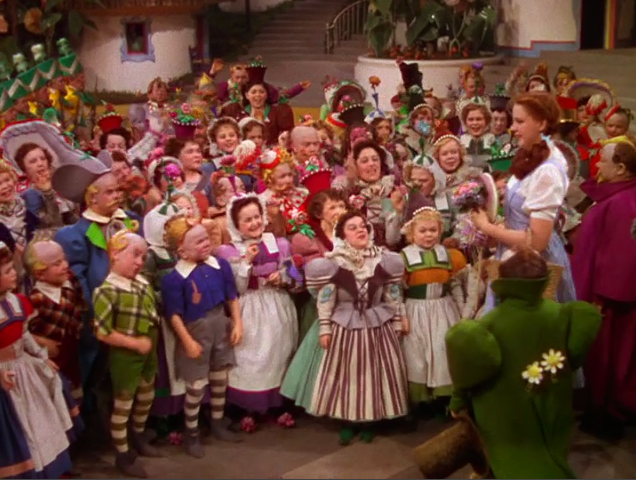 Much of the cast of the Wizard of Oz, including all 124 ‘Munchkins’, stayed at the hotel whilst a list of other guests is a roll call of Hollywood’s great and good, including: Buster Keaton, Clark Gable, Mickey Rooney, Greta Garbo, Judy Garland, Joan Crawford, Lana Turner, Red Skelton, Buster Keaton, Douglas Fairbanks, Frank Sinatra and Ronald Reagan. The hotel has even counted Charlie Chaplin and John Wayne amongst its owners! 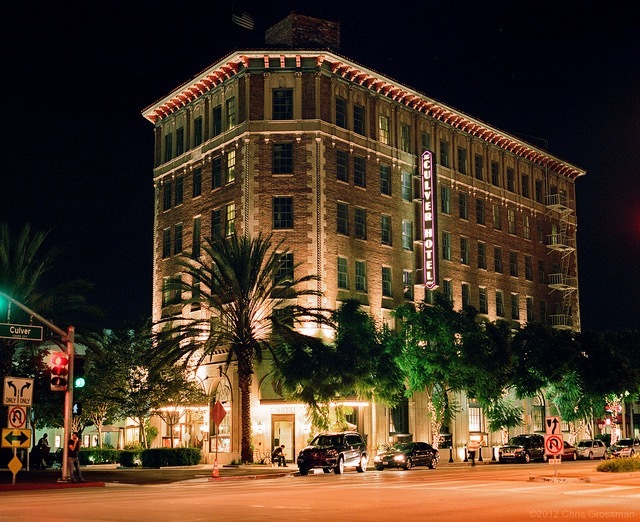 The hotel itself is a beautiful flatiron building which is now a National Historic Landmark. Beautifully and sympathetically restored to its original glory by its recent new owners, it oozes character and charm in a city where, perhaps too often, the bright and new is privileged over old and historic. The scene is set on the ground floor where the lobby runs directly in to an open plan bar and restaurant. Very European in style – pendant lamps hang over a polished marble floor set with elegant seating and cascading palms. Quieter mezzanine rooms offer cosier areas with low lighting, velvet and leather sofas, embroidered cushions and antique furnishings. We love the individually decorated rooms and suites which appeal with their very clever mix of historic features and contemporary design. Modern furnishings blend seamlessly with old, whilst heavy fabrics and bold colours provide a sense of comfort. Originally just one bathroom was built for each floor, but thankfully now all bathrooms are ensuite – each is elegant and modern but still retaining traditional elements. Look out for 1920s original fixtures such as these beautiful bathroom taps. It is to be greatly admired that The Culver Hotel has resisted the the temptation to ‘over restore’ – everywhere the hotel holds the feeling of history. It supplies a true antidote to the touristy madness of central Hollywood. Take a seat in the lobby bar, gaze over the road through the iron railings of the Culver Studios where King Kong was made and its almost possible to step back into the old Hollywood of almost a century ago. CELLOPHANELAND* was a guest of the Culver Hotel. Images by the Culver Hotel and CELLOPHANELAND*.